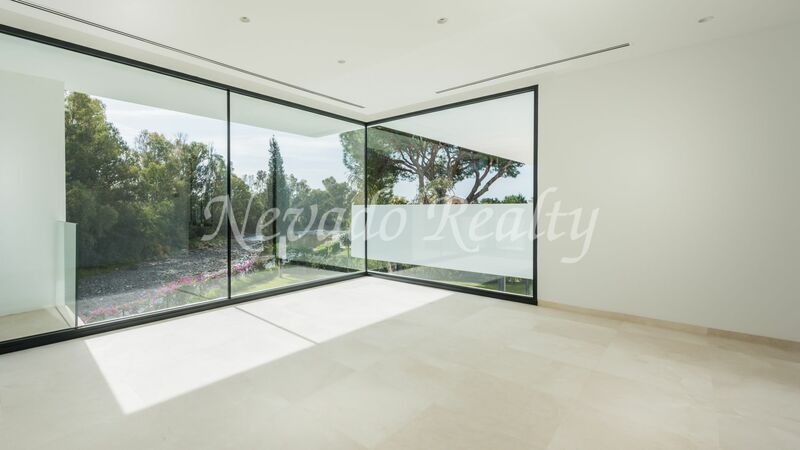 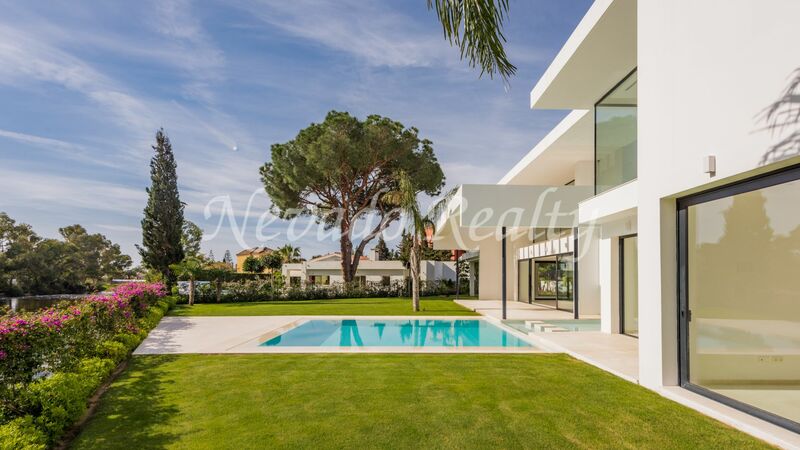 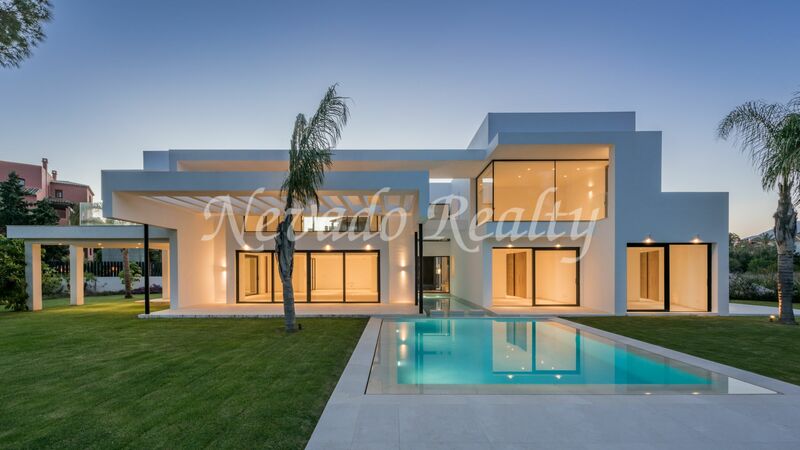 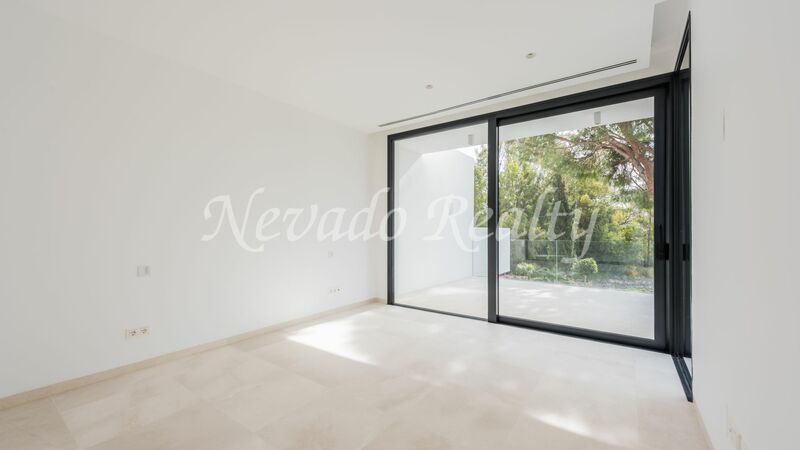 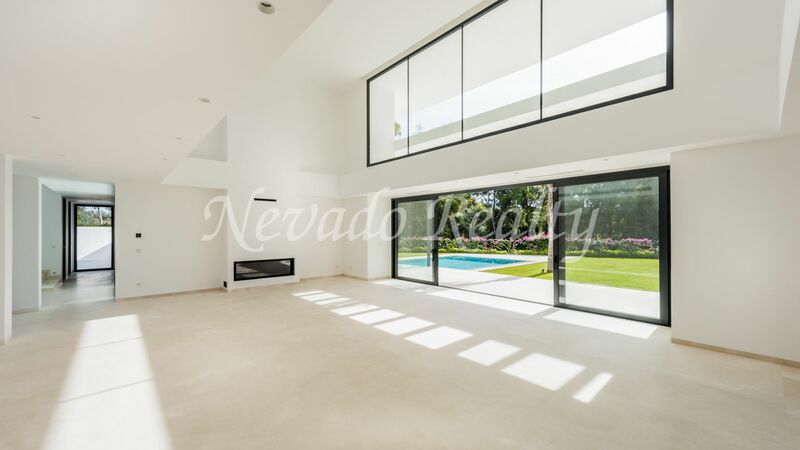 Brand new contemporary villa located in Casasola, next to the Alhambra golf club and the golf course of Guadalmina, a short distance from the ideal beach for those who want to enjoy tranquillity and privacy. 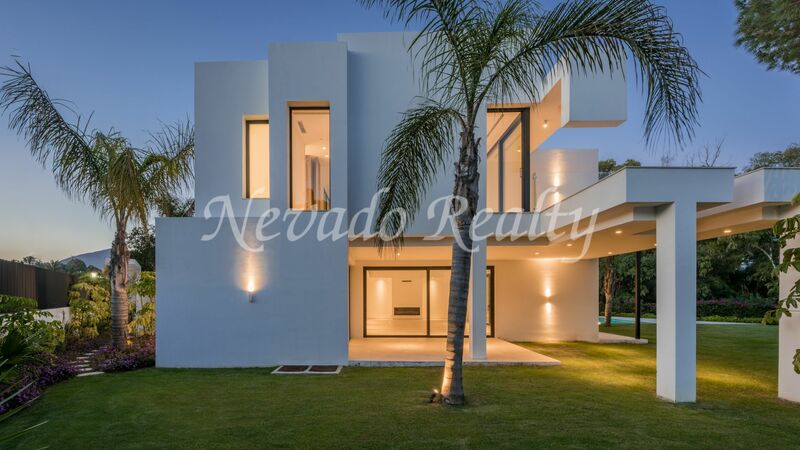 With southeast orientation, the villa has been designed with style where the different volumes on the facade and the large access door of 5.5 meters high stand out. 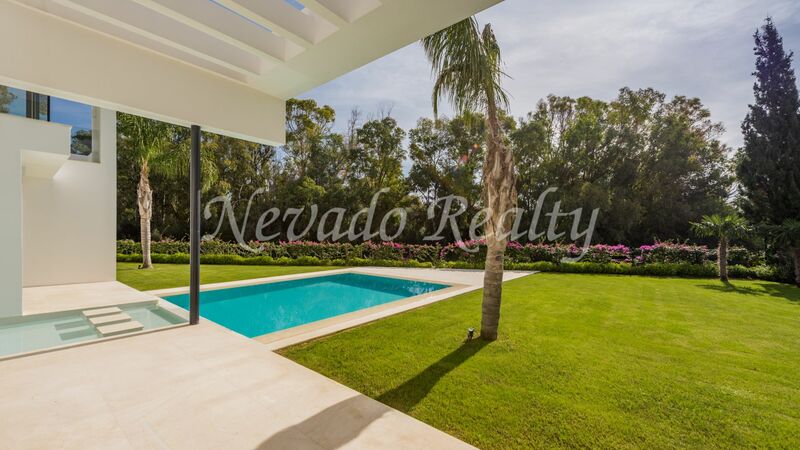 The design garden has coconut palms and a large green extension with private pool that allows you to enjoy the golf course grove and nice views. 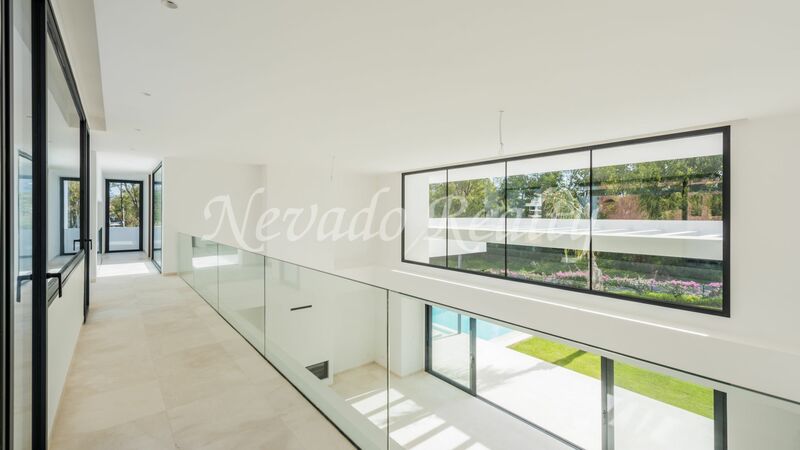 It has a double height entrance level and direct views of the garden, with a sheet of water connected to the pool; double height living room with fireplace, 2 terraces, TV room, kitchen open to the living room in pre-installation, where the new owner can choose the design and layout; guest toilet and 2 en suite bedrooms overlooking the garden. 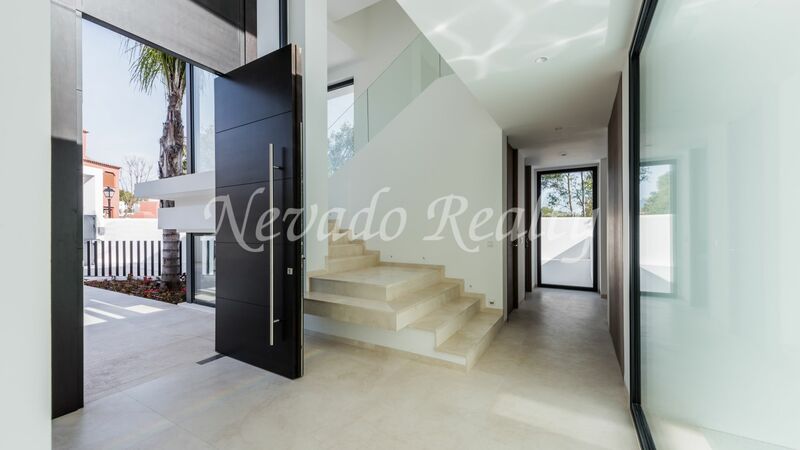 On the first floor, there is the master bedroom suite with dressing room and terrace with views; additional bedroom en suite. 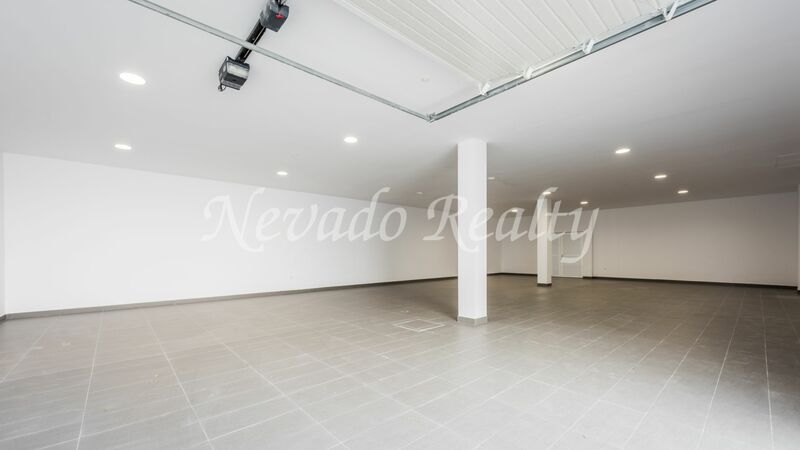 In the basement, we find a garage for 6 cars, multipurpose rooms, very large open area of 180 m2 with natural light (patio lights) that can be used as a gym, cinema room, laundry, spa, increase the number of bedrooms, etc. 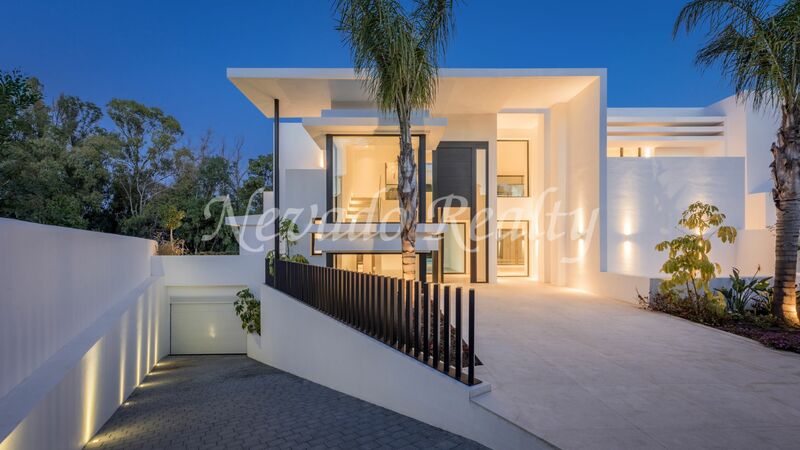 Additional features marble floors, double glazing, exterior carpentry, home automation for lighting, A / C, underfloor heating, aerotermia system, saltwater pool and integrated lighting and floor to ceiling windows. 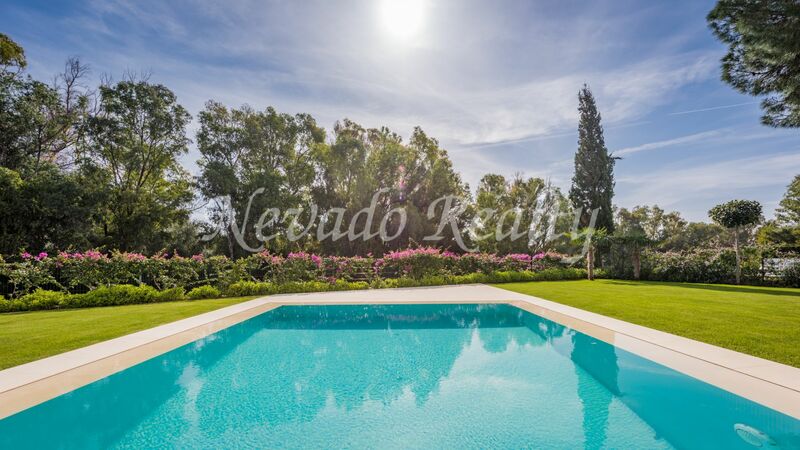 A perfect opportunity for paddle and golf lovers! 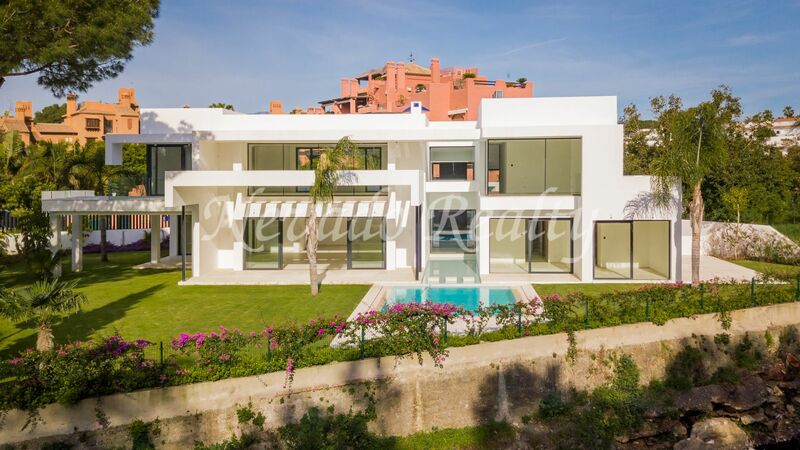 Please send me more information about ref 163-02695P, Villa in Casasola, Estepona Or similar properties.